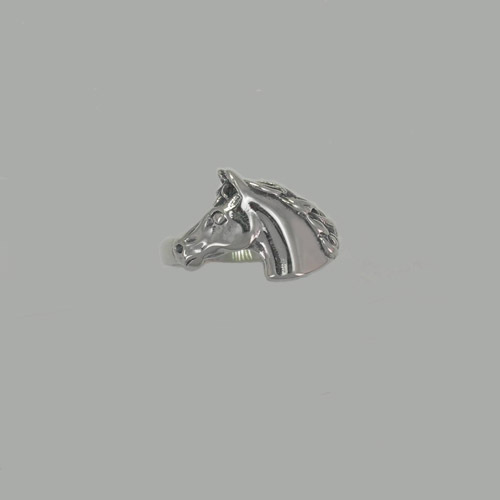 Desc: Sterling Silver horse head ring. The horse head has head forward with ears forward. The mane is flowing out behind the neck. 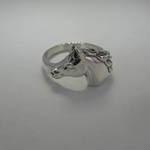 The ring has a bright polish finish. Made in the United States of America.